Core i7-7700K in a laptop. Stuff a 91 W desktop processor and a 150 W Nvidia GPU in a 15.6-inch notebook and you'll have more processing power in a portable 3 kg system than most full-size PCs. The Tornado F5’s generic looks can be a pro or a con, depending on your preferences. We’d like a little more flare when we’re spending this kind of money. 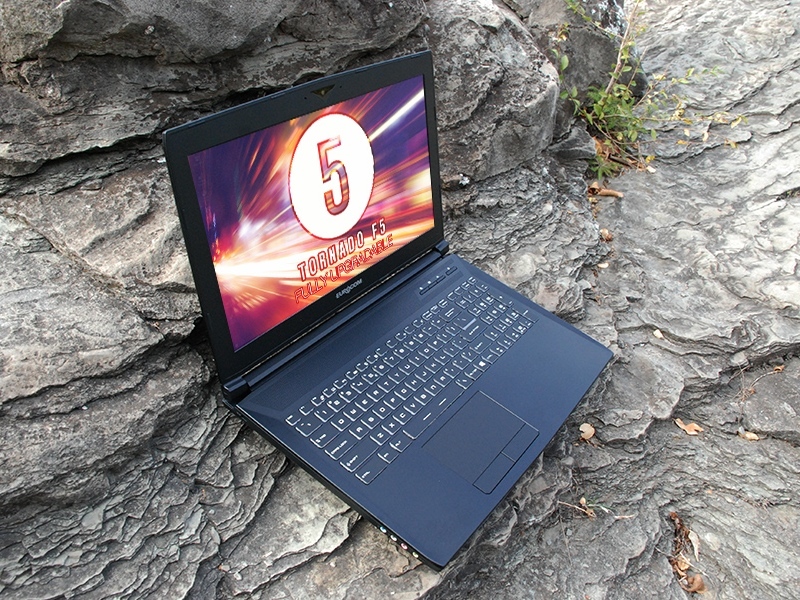 The notebook starts at $1,666, but our review unit topped $4,116 with all of its upgrades. A more balanced configuration with a GeForce GTX 1060 or GTX 1070, 16GB of RAM, and one SSD should be doable for under $2,500. It does rather well in terms of value against its competitors if you keep the component loadout reasonable. 7700K: High-end quad-core desktop processor based on the Kaby Lake architecture running at 4.2 - 4.5 GHz. It is the top model of the Kaby Lake H-series in the beginning of 2017. The chip also integrates the HD Graphics 630 GPU clocked at 350 - 1100 MHz and is manufactured in a 14 nm process (improved compared to Skylake).» Further information can be found in our Comparison of Mobile Processsors.